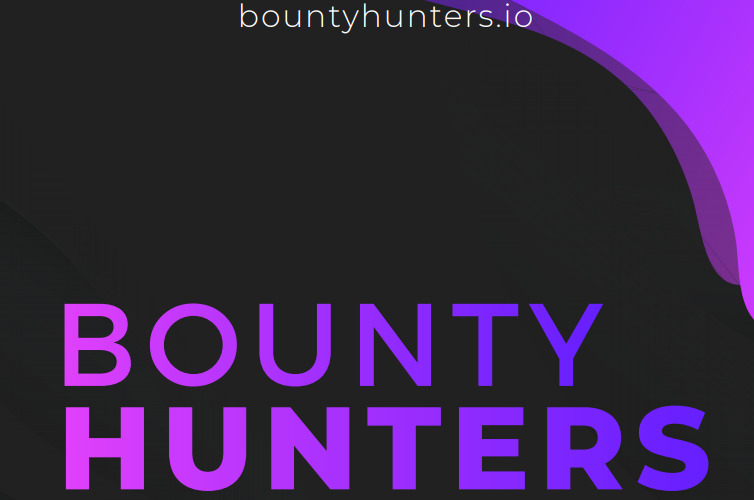 Bountyhunters is an automated influencer marketing platform and bounty programs managing service. It’s built on the “action=reward” model, and it’s based on blockchain technology. The platform aims to help start-ups, ICO projects, and existing companies to increase awareness of its own brand in the market and to increase the number of significant mentions in social networks and specialized marketing, PR channels, and blogs. It aims to increase a project’s efficiency by reducing the time investment and financial cost and to facilitate interaction between companies and active participants in the social networks by making campaign more transparent and saving time and resources. Our goal is to create a safe and transparent environment in the infl uencer marketing arena. This will benefit the company and the owners of social media accounts, receiving the opportunity to monetize their own subscription base and millions of readers, receiving more interesting and relevant content. The platform aims to help start-ups, ICO projects and existing companies to increase their knowledge of their own brand in the market and increase the number of mentions in meaning in social networks and specialized marketing, public relations channels and blogs. The main objective of the project is to increase the efficiency of a project by reducing the investment of time and the cost of financial and facilitating the interaction between companies and active participants in social networks by automating all associated business processes to the creation of marketing campaigns, their management, analysis, as well as active selection, participation and targeting of influencers, as well as the organization of the distribution of payments. The projects are advertised to the right audience therefore creating the right community for the product which are actively involved and engaged. It has built in tools that gathers and analyze data of influencer’s activity and also customize campaign and targets. In as much as the main aim of an organization is to provide solution to a challenge they are also aimed at making sales. For an existing brand that has few customers when such brand does not grow beyond certain number of customers they are at the verge of losing the customers already made, nobody will want to drink from a stagnant water. Bounty Host - A brand or a company that runs a bounty campaign. It usually is a new company trying to get into the market and needed awareness or some sort of advertisement. Bounty Hunter/Influencer - The person who owns or manages a website, blog, or an account in the popular social networks (Facebook, Twitter, Instagram, Telegram, VK, etc.) and creates a content at the request of the bounty host (makes reviews, articles,news, shares, retweets, etc. ), receiving for each action a certain fee. A campaign is created by the bounty host , an influencer receives notification in a private dashboard on the launch of the new campaign. In case of confirmation of participation in the campaign from the side of the influencer and from the side of the host, the platform automatically creates a smart contract and deposits the minimum amount of money (identified by the host in the campaign details) for an escrow fund. After performing each action (posting content, repost, etc. ), the platform automatically monitors and tracks all these actions. After the campaign ends, the automatic calculation and allocation of funds between the influencers is performed. The platform uses a 3-level approach (host < > influencer, as well as the system itself) with a focus on its own verification system - Proof of Result (PoR). This verification system calculates the efficiency of each performed action and builds correlations. It provides a system with a real opportunity to assess the work of an influencer and make the solution (automatically) about the possibility of payoffs and the volume of additional bonuses (in the case of increased performance) to each influencer. One of the vital advantage is that the processes of calculating results and payouts is fully automated, and interactions between advertisers and influencers are backed by specially developed smart contracts. Increase the coverage of a target audience. Produce the ability, in the shortest time possible, to attract a new audience and to present a brand to a broad but specific community. Also, increase in ROI and conversion rates within the sales funnel. Optimized marketing campaigns This is an opportunity to make campaigns more transparent from the point of view of ROI, CPA. Reduce the financial and time costs associated with product launches and future management. Saving time and resources thanks to the total automation of the processes and the automated monitoring of activities and payments. It offered limited tools for analyzing and reviewing the performance of both the campaign and the funds invested they were risky from the point of view of payments and internal transactions. 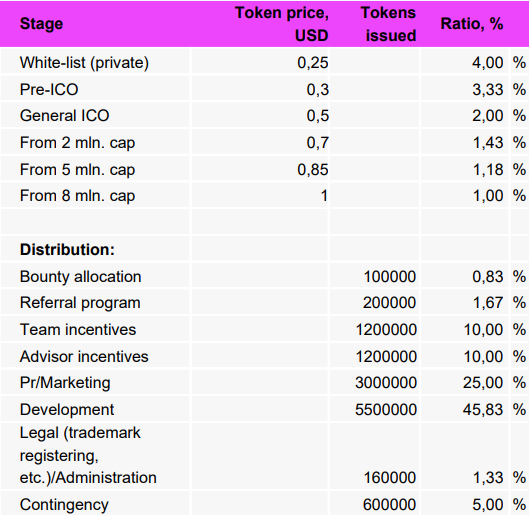 The value of the token at the time of the crowdsale will be 1 HNTR = 0.5$.